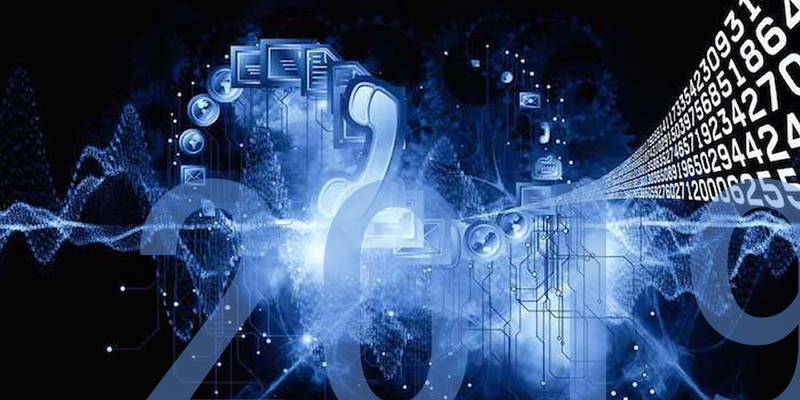 Telecom Review - Outlook to 2019: What should we expect? Year 2019 has been linked with the rollout of fifth generation technology (5G). Industry experts have embarked on their 5G journey and are aspiring to see their efforts bear fruit in 2019. However, other trends are expected to impact the telecommunications industry. Technological advances have created what is dubbed the ‘digital era’ and are paving the way for significant IT and network architecture changes in 2019. A recent study by S&P Global Ratings forecasted global telecom revenue growth of 2%-3% through 2019 driven primarily by broadband as demand for high speed data continues to increase. In fact, the revolution of increased data consumption will persist in 2019 with even greater volumes of data generated by new technologies. Streaming video on ultra-high-definition TV screens, virtual reality applications, real-time online gaming, and smart homes are trends that emerged a couple of years ago and that require high-capacity, low-latency network connections. According to Ericsson’s 2018 Mobility Report, there are strong indications that indoor customer-provided equipment (CPE) and pocket routers for mid-band will be available by the end of 2018 and 5G-compatible smartphones are forecasted to be launched in Q2 2019. Second-generation chipsets are expected by the end of 2019, which will enable more 5G-capable devices with enhanced architectures and lower power consumption. Chinese colossus Huawei has been heavily investing in 5G with the aim of becoming the industry’s pioneer in this field. In fact, at Huawei’ 9th Global mobile Broadband Forum which was held in London, Huawei's Rotating Chairman, Ken Hu, announced the shipment of Huawei's first 10,000 5G base stations, outlining the company's vision for the future of 5G. Hu emphasized that governments should accelerate the process of harmonizing and releasing continuous bands of large-bandwidth 5G spectrum in order to speed up deployment, and at a total cost lower than 4G. “We believe 5G will make an important and lasting contribution to society. At Huawei, we are working hard to make 5G networks stronger, simpler, more intelligent, and more secure”, he said. In 2019, investment in capital and wireless spectrum for 5G is expected to be substantially higher than prior generations of wireless deployments because carriers need new wireless spectrum, deeper fiber backhauls, particularly in key urban markets, and substantially more cell sites to deliver the benefits of 5G. In this context, network element virtualization, improved spectrum efficiency, and the use of fiber optics will generate potential cost benefits. 5G deployment’s timeline will vary by markets and regions because it is bound to policies, financial resources, regulatory frameworks and demand on technology. The deployment is also expected to be initially limited to denser urban and suburban markets. Artificial intelligence is said to be driving the growth of the telecoms industry. CSPs are nowadays harnessing the power of AI to process and analyze the huge volumes of data in order to provide better customer experiences, improve operations, and increase revenue through new products and services. Forward-thinking CSPs will focuse their efforts on four main areas where AI has already made significant inroads in delivering tangible business results: Network optimization, preventive maintenance, Virtual Assistants, and robotic process automation (RPA). Artificial intelligence applications in the telecommunications industry use advanced algorithms to track patterns within the data in order to detect and predict network anomalies, and allow operators to proactively fix problems before customers are negatively impacted. In the short-term, network automation and intelligence will enable better root cause analysis and prediction of issues. On the long term, these technologies will allow creating new customer experiences and dealing efficiently with business demands. According to a survey by Deloitte, 40% of telecom, media and tech (TMT) executives say they have reaped “substantial” benefits from cognitive technologies, with 25% having invested $10 million or more. More than three-quarters expect cognitive computing to “substantially transform” their companies within the next three years. A hybrid cloud offers enterprises the scalability and cost benefits of a public cloud with the security and privacy of a private cloud. It is estimated that in approximately 75% of businesses choose hybrid cloud for the flexibility it provides. Enterprises are now accessing SaaS, IaaS and PaaS solutions from multiple providers. Equinix anticipates that 2019 will see the next level of challenges associated with hybrid cloud and multicloud approaches. Equinix believes enterprises will struggle with expanding their security perimeters, as well as integration and management issues as they pursue hybrid multicloud architectures. These predicted trends indicate that enabling capabilities such as security, analytics and data exchange in close proximity to the cloud is a must for seamless cross-border data flow, and the right interconnection partner can help organizations navigate through the complexity of cloud.